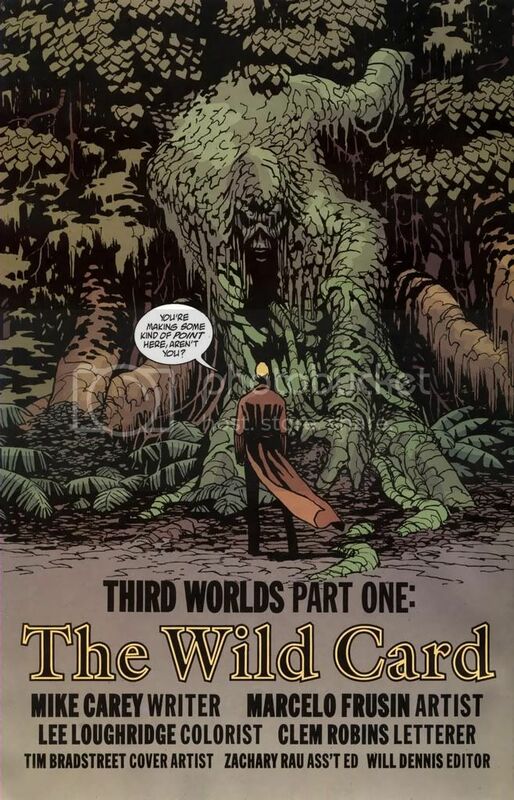 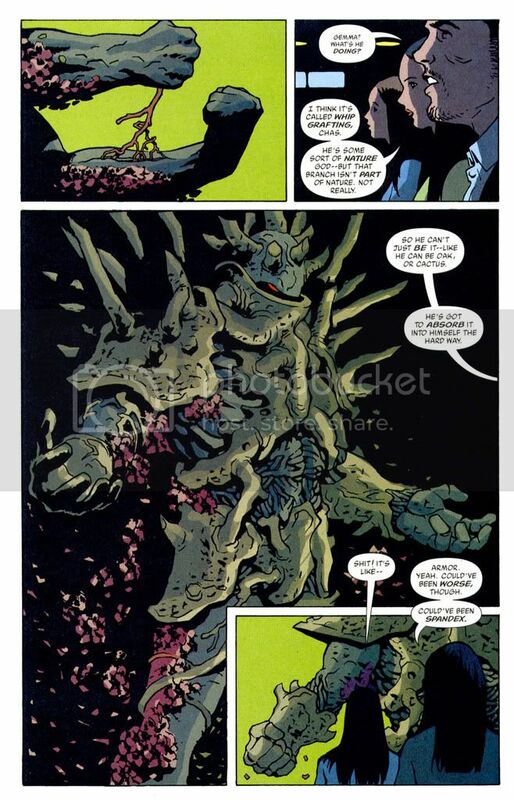 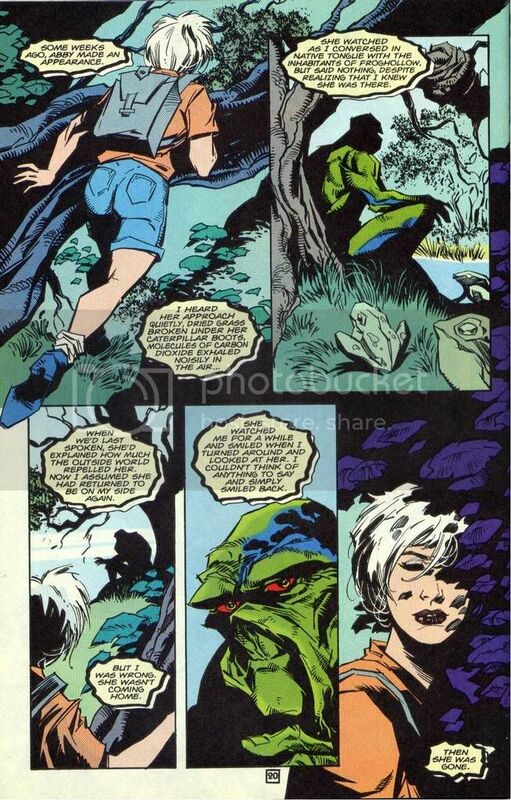 KMC Forums - Respect Swamp Thing! 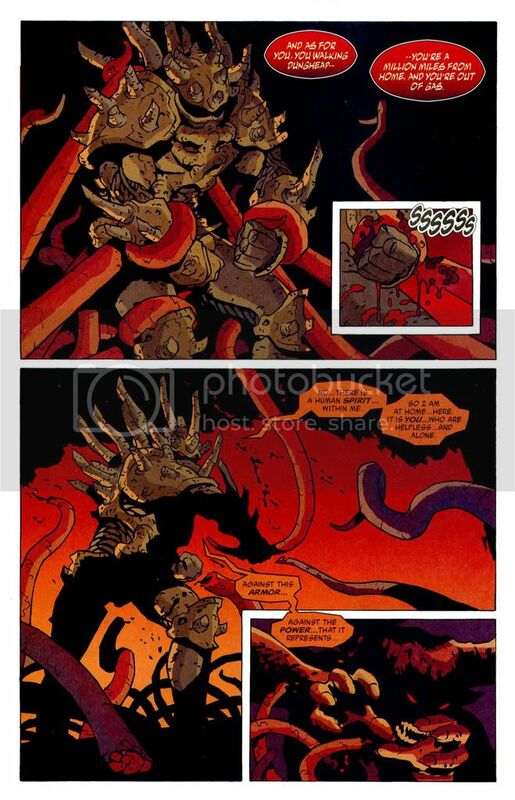 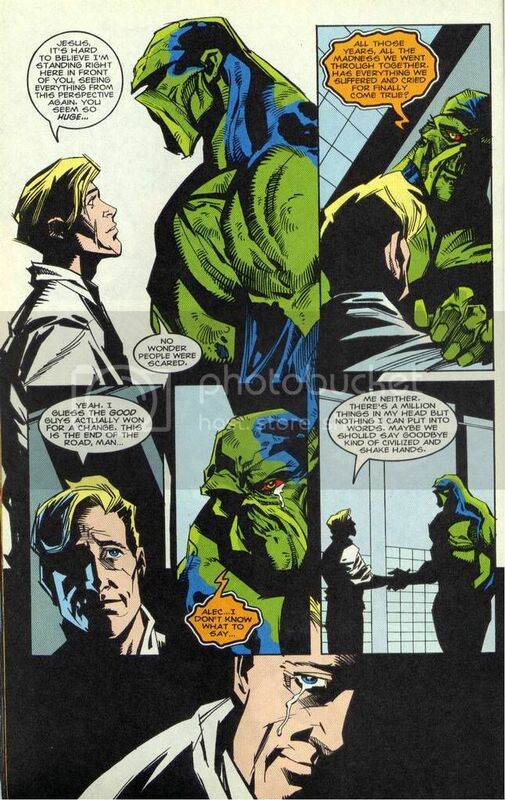 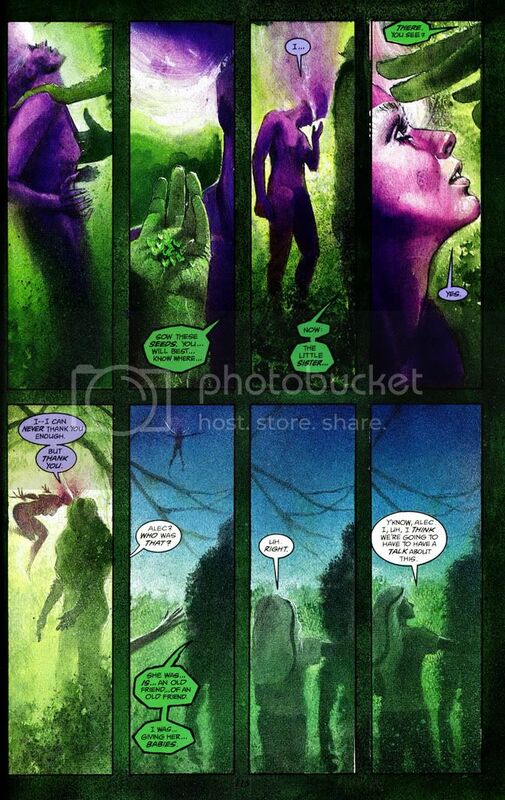 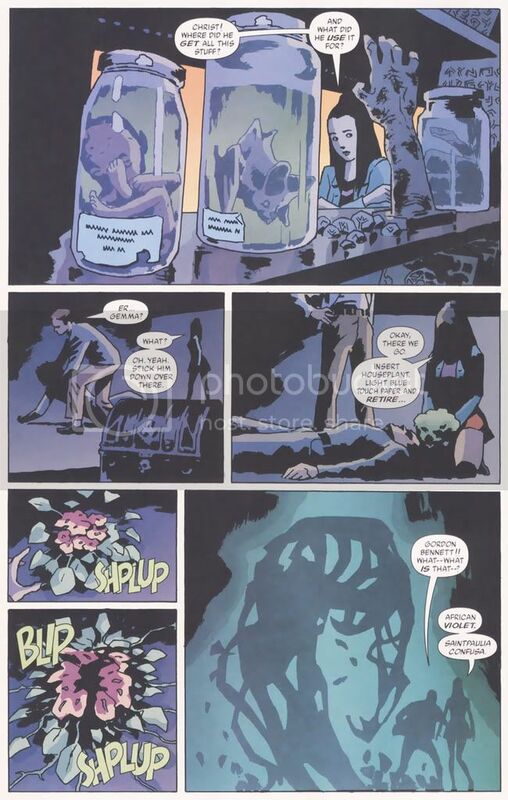 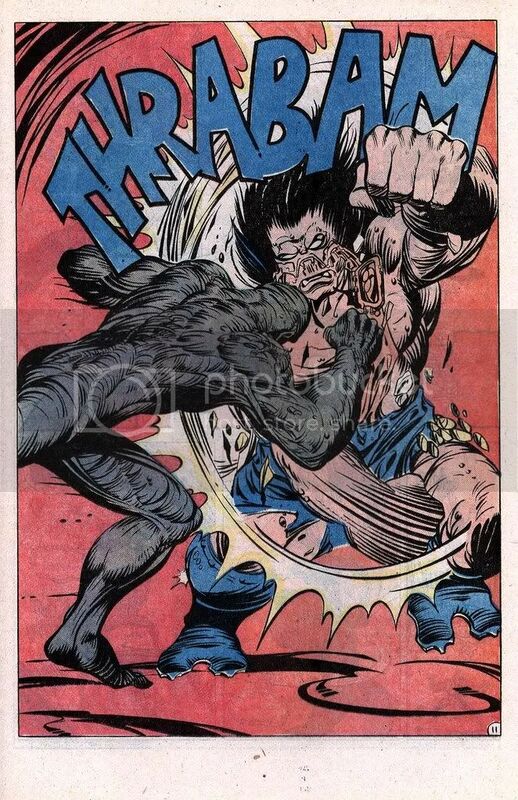 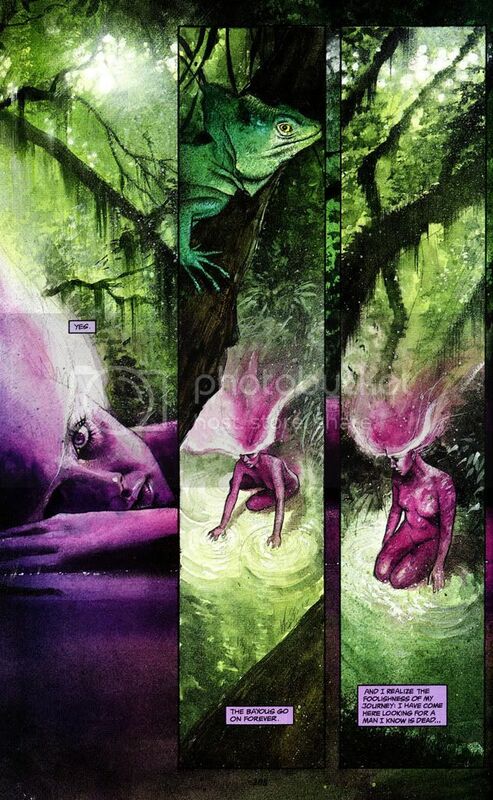 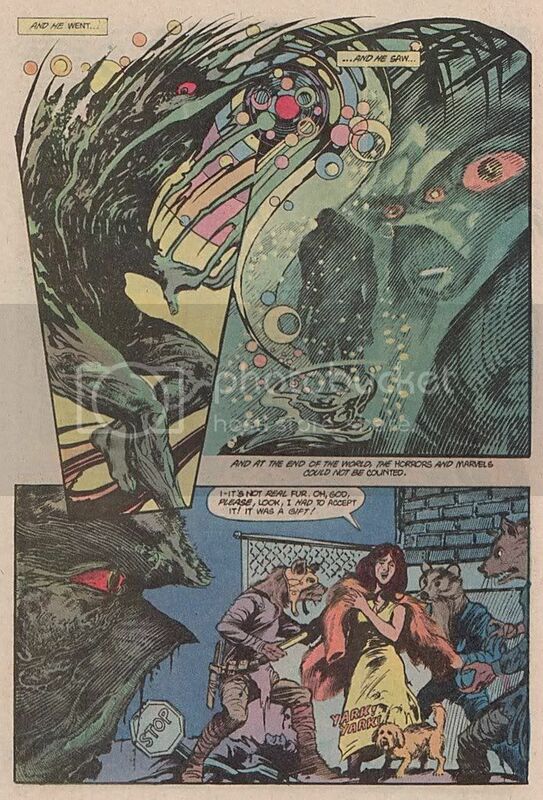 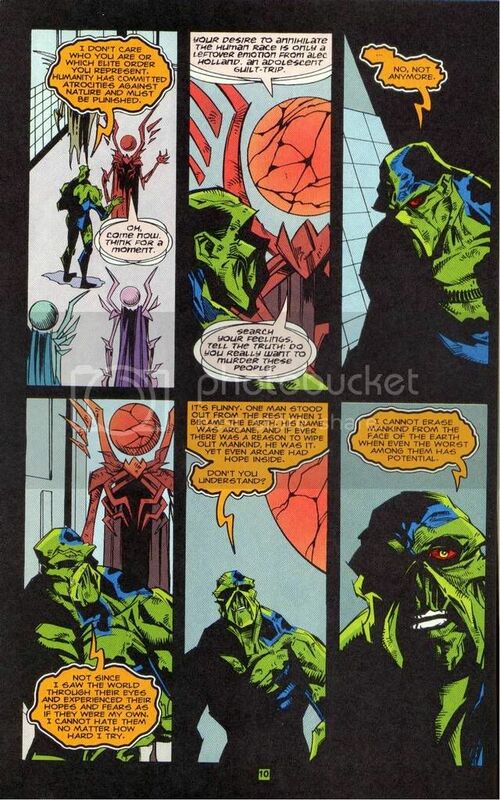 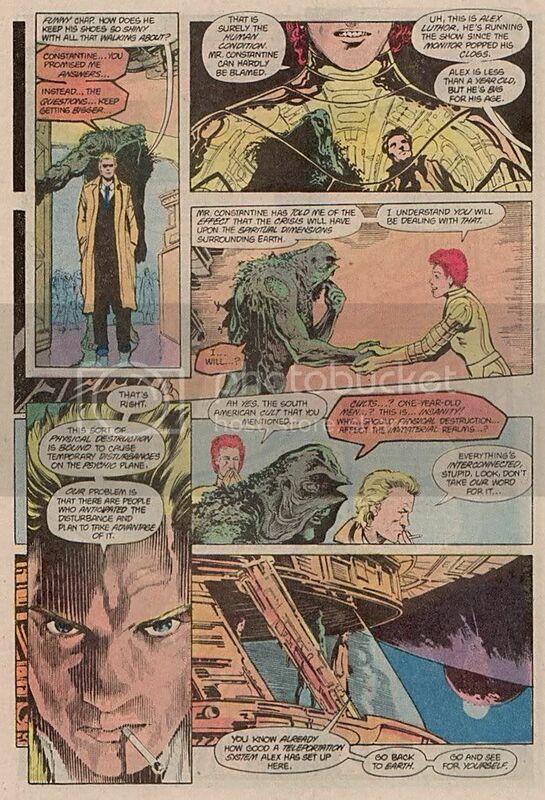 Home » Comic Book Forums » Comic Book 'Respect' Forum » Respect Swamp Thing! 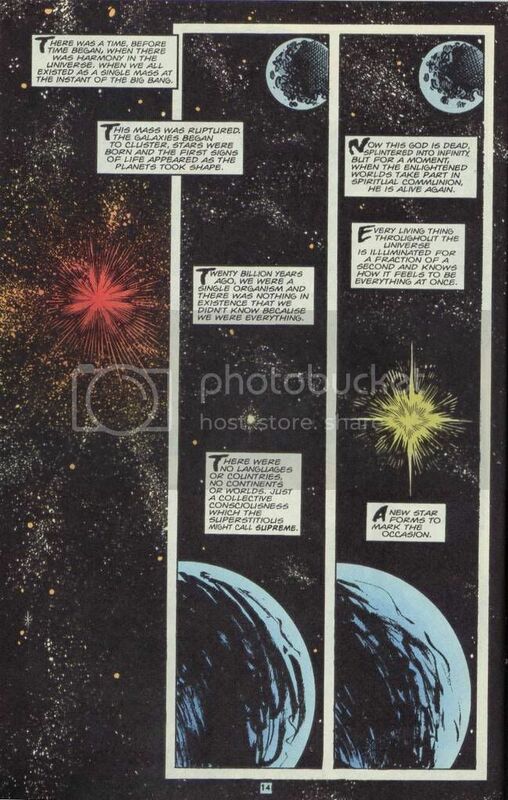 "A new Star forms to mark the occasion." 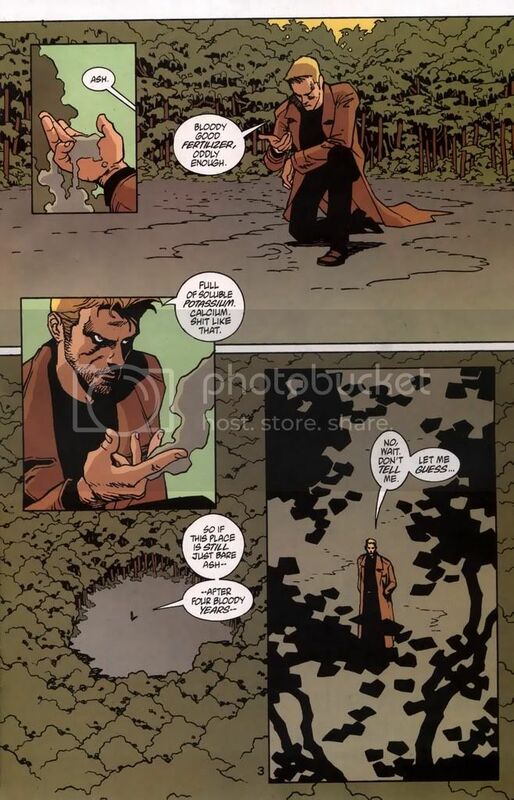 ...........That was beautiful. 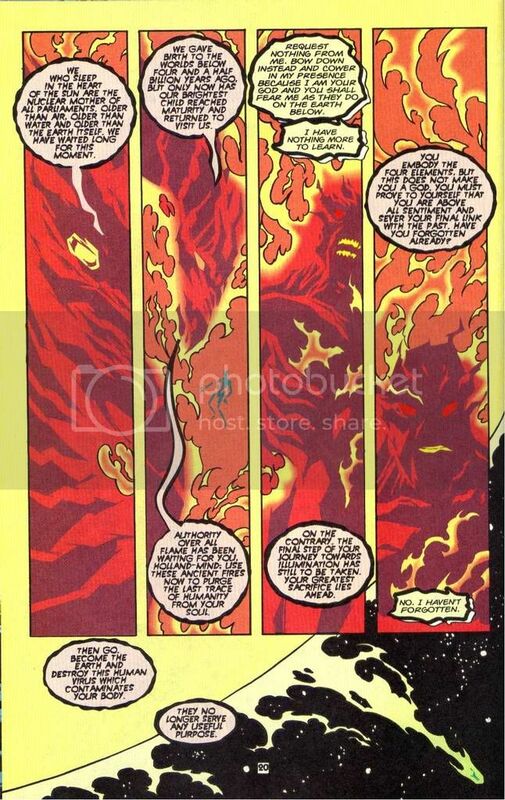 Did Alan Moore write that? 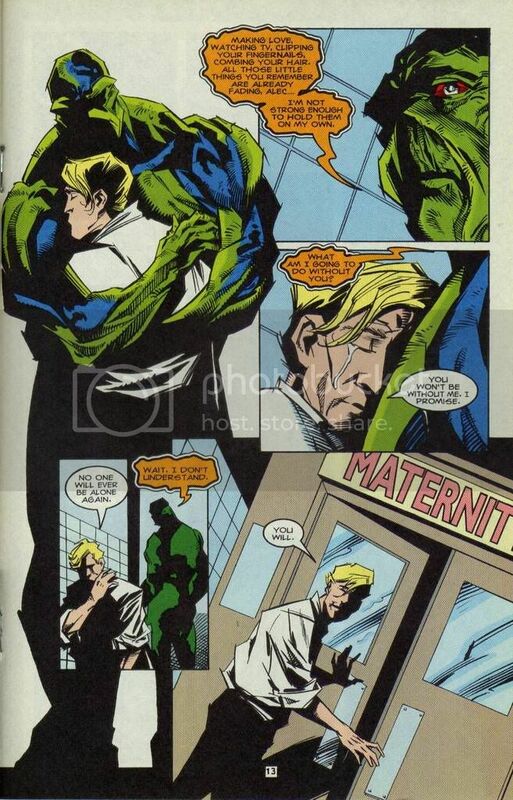 It brought tears to my eyes. 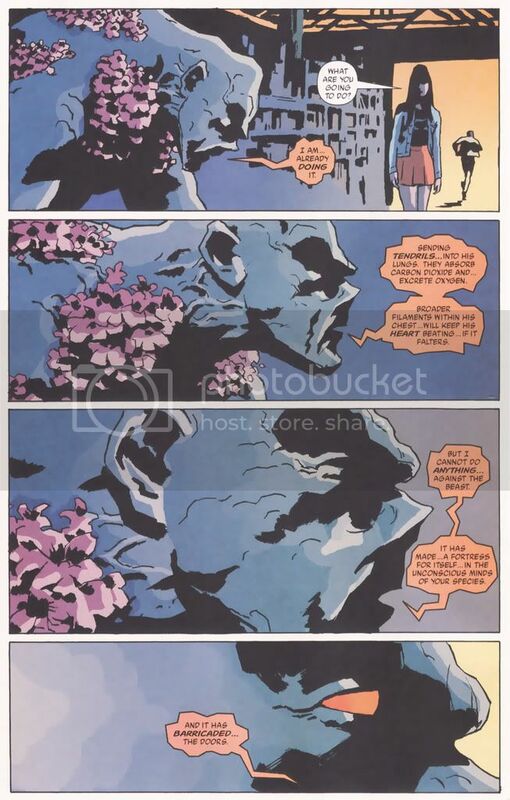 That kind of sentiment, that level of artistry, that imagery and dream......that's what make comics special. 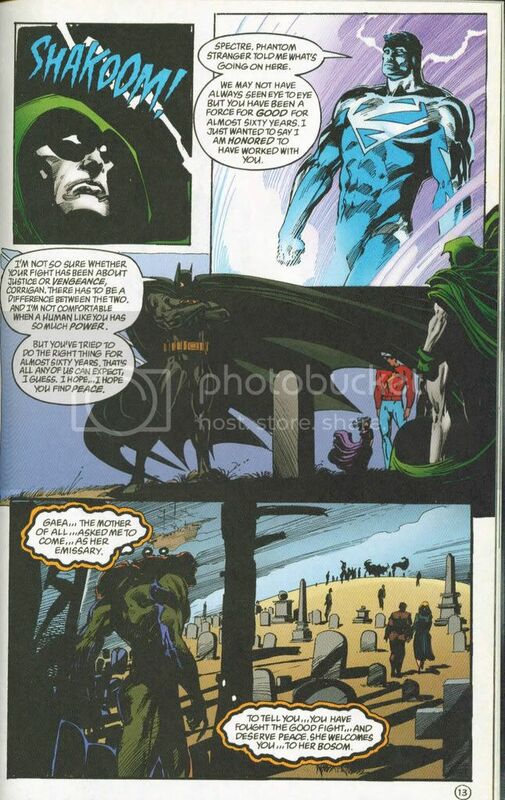 This isn't just a comic book. 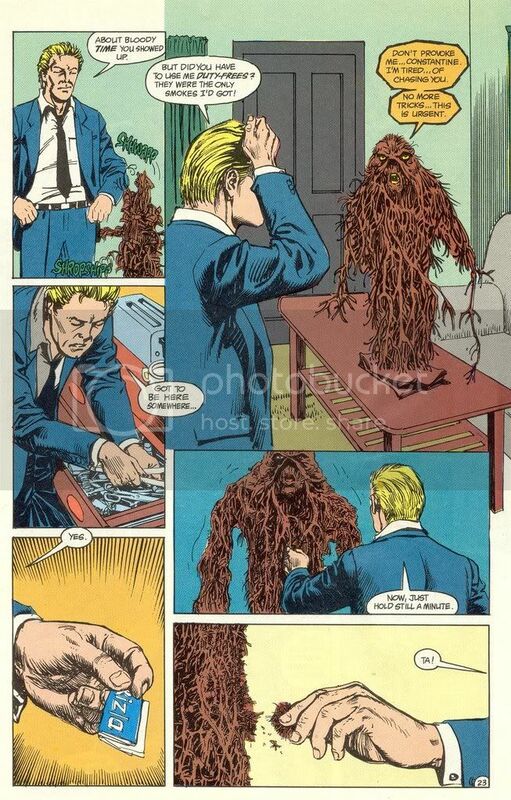 It's a work of art. 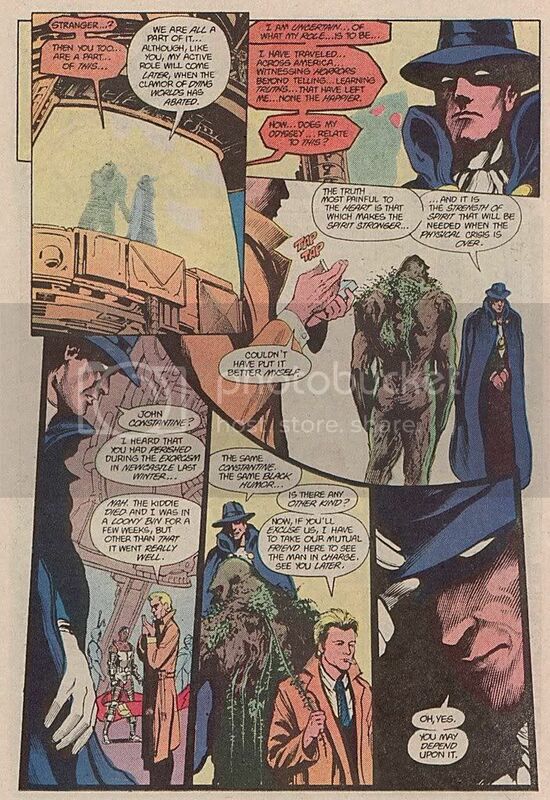 Very cool respect thread, Galan. 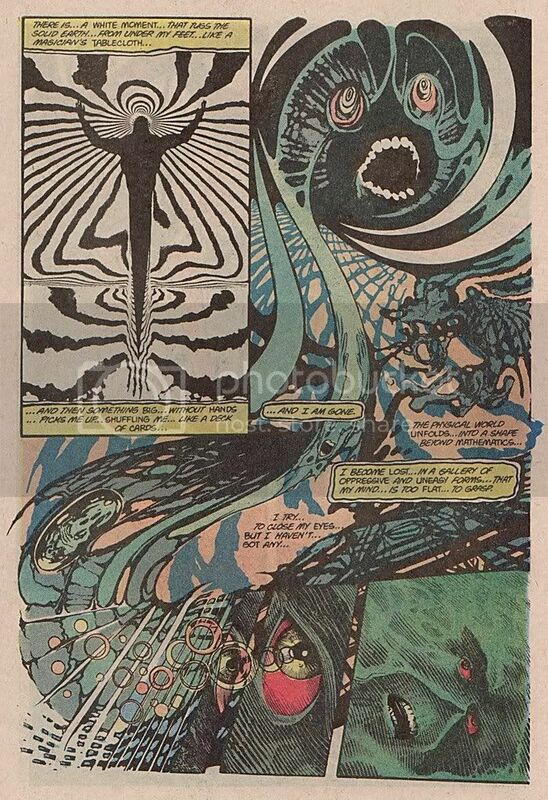 And yes, that was from the last volume of Moore's run. 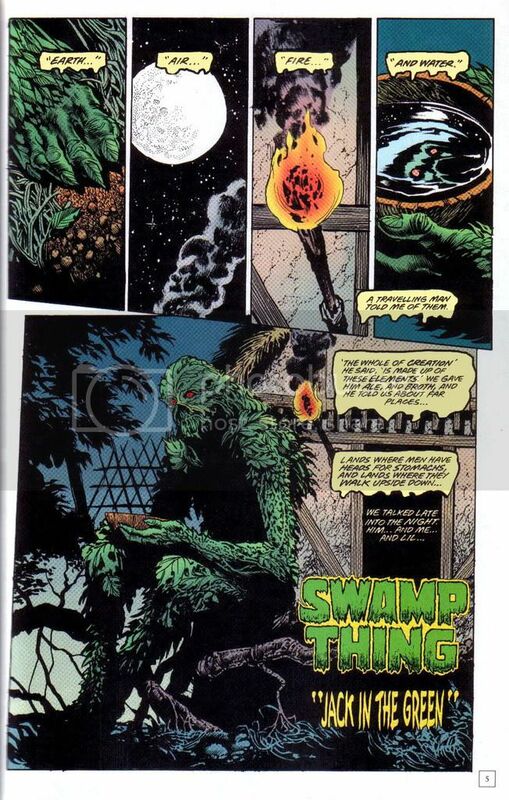 Thank you, it's about time we had a Swamp Thing Respect thread. 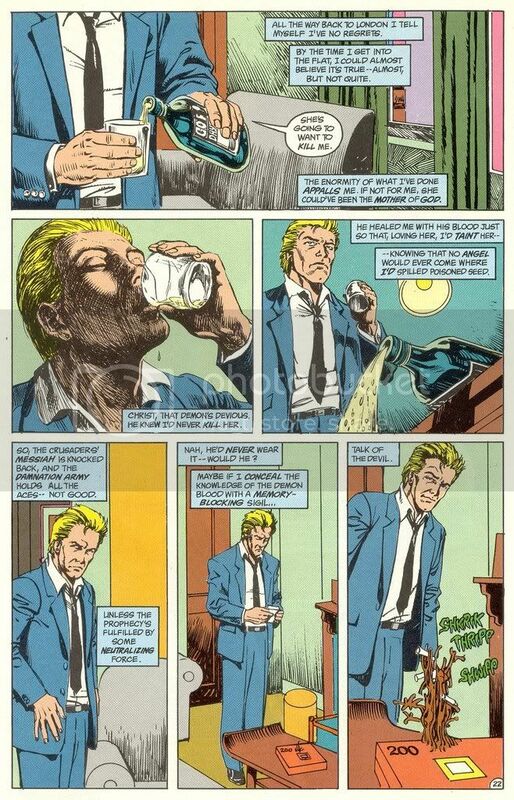 Great job Galan! 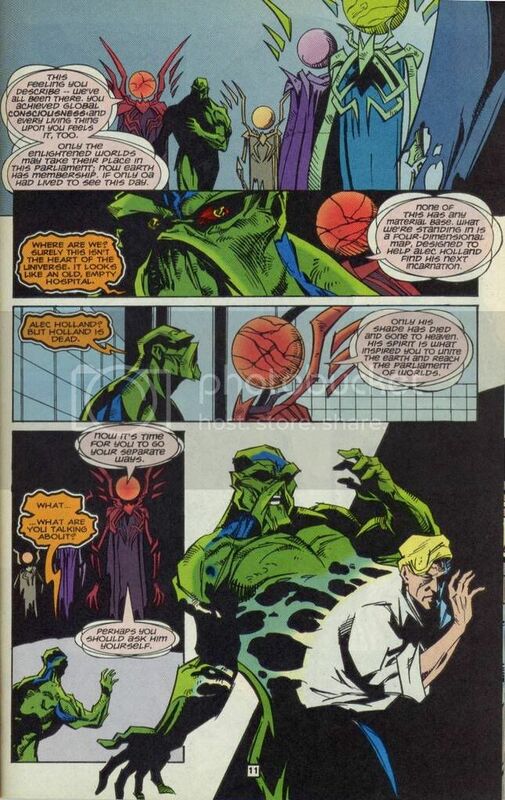 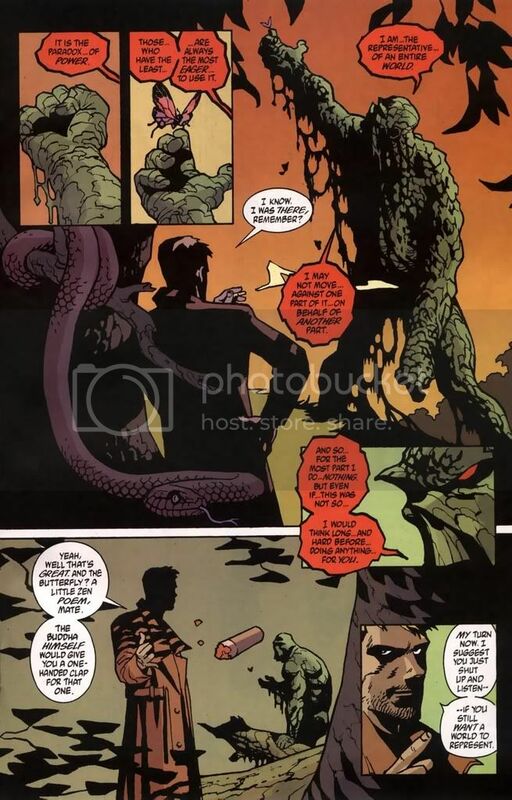 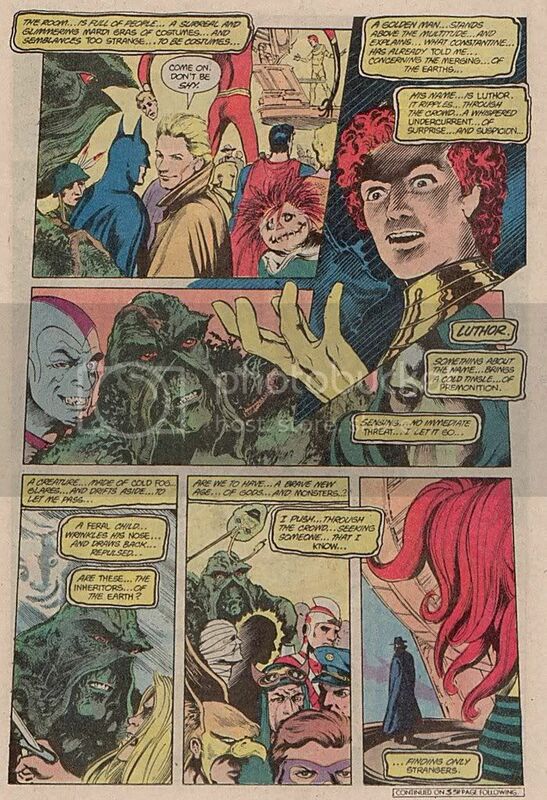 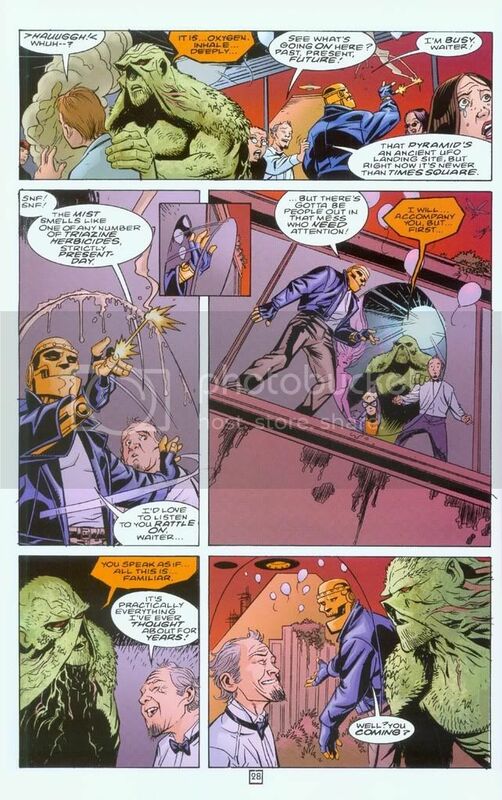 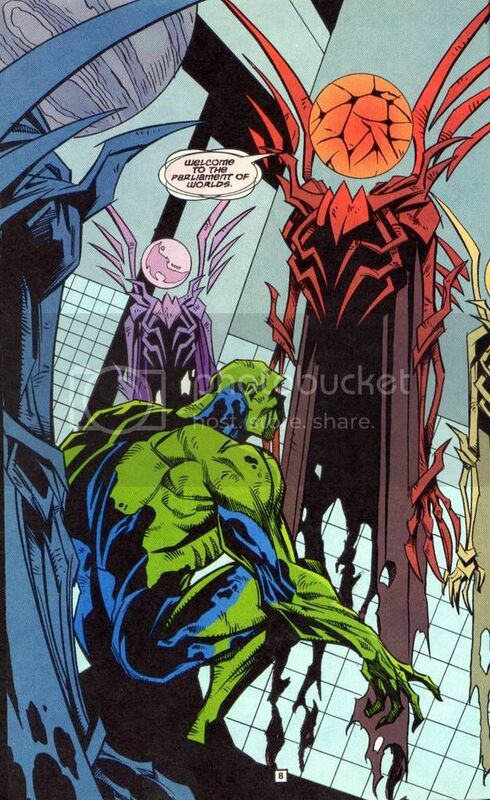 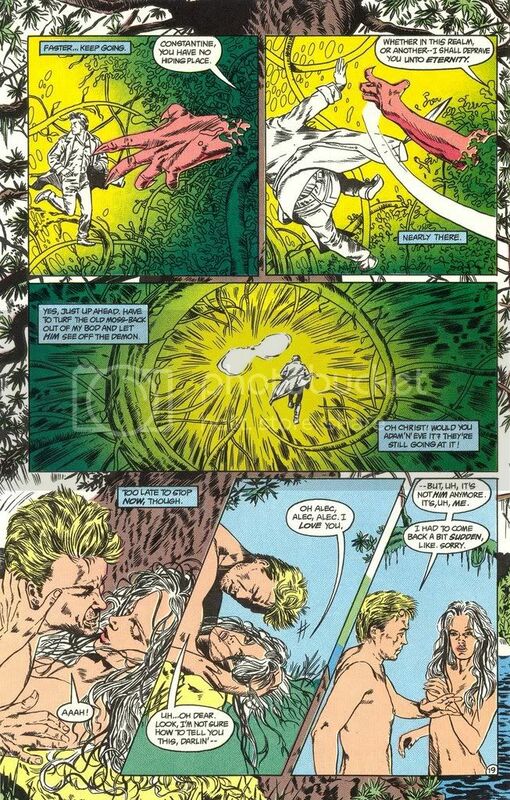 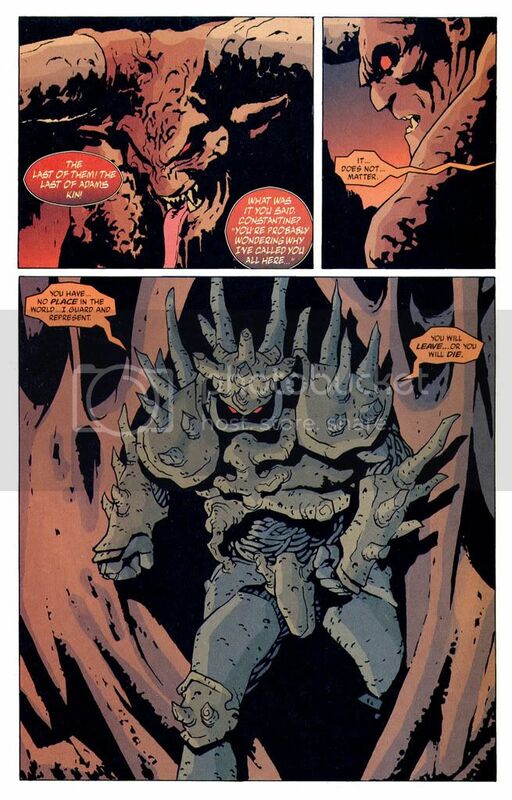 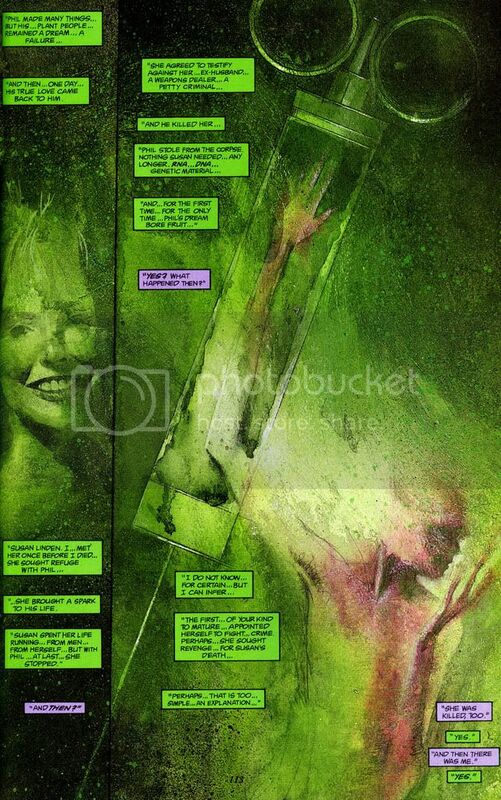 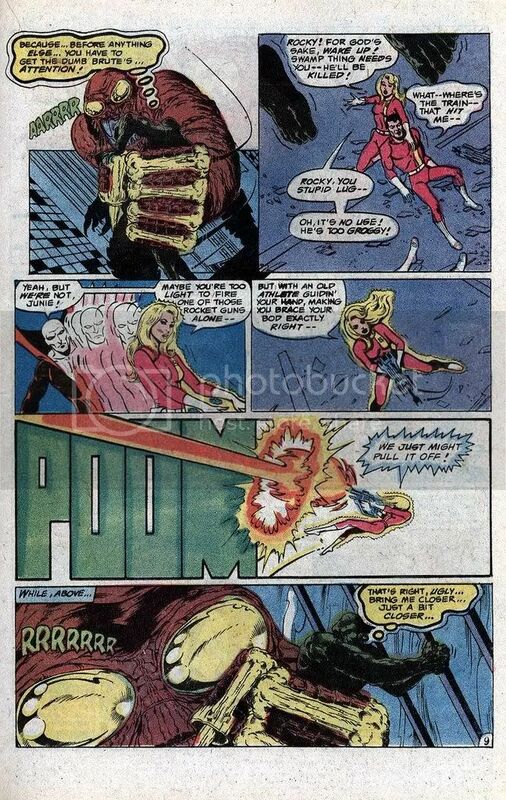 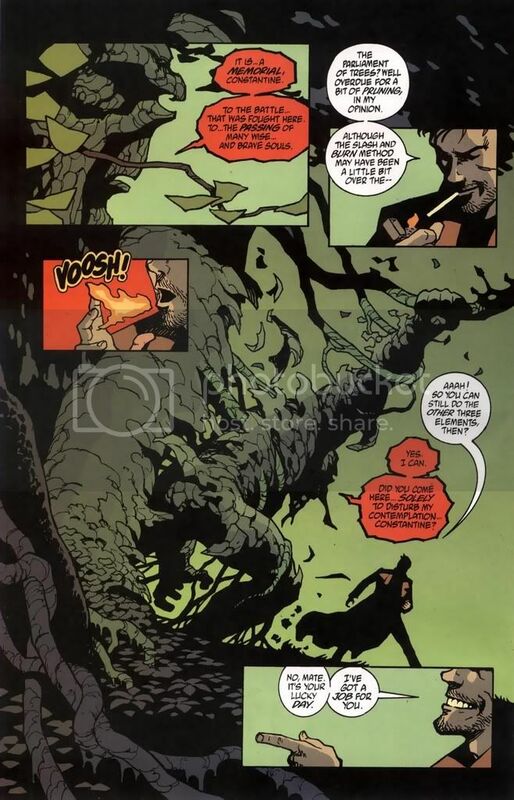 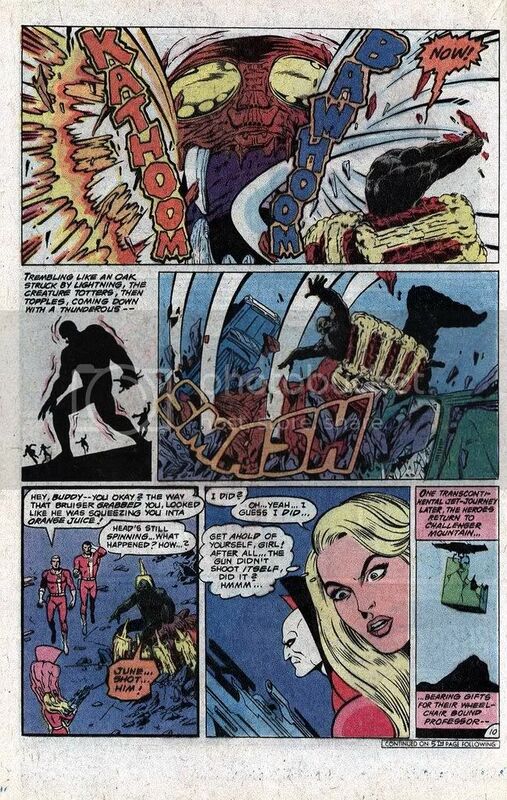 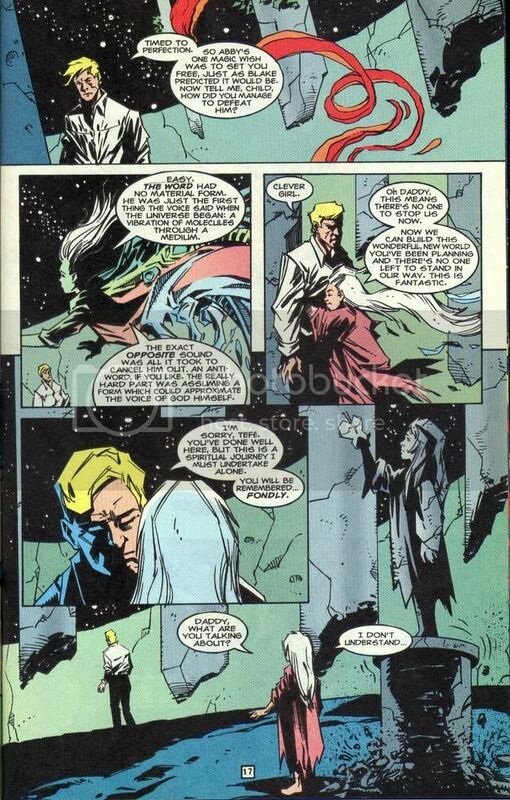 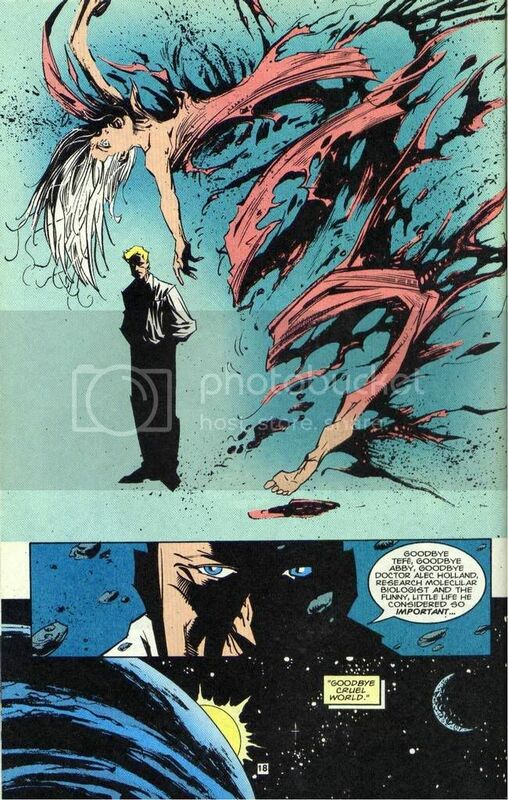 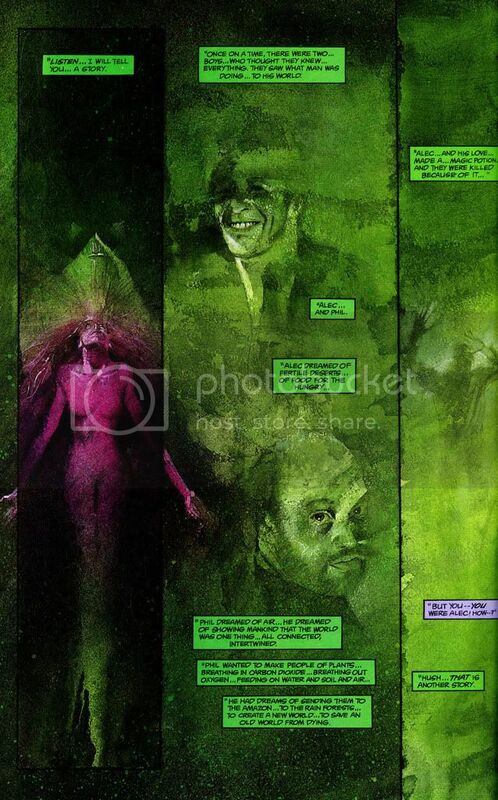 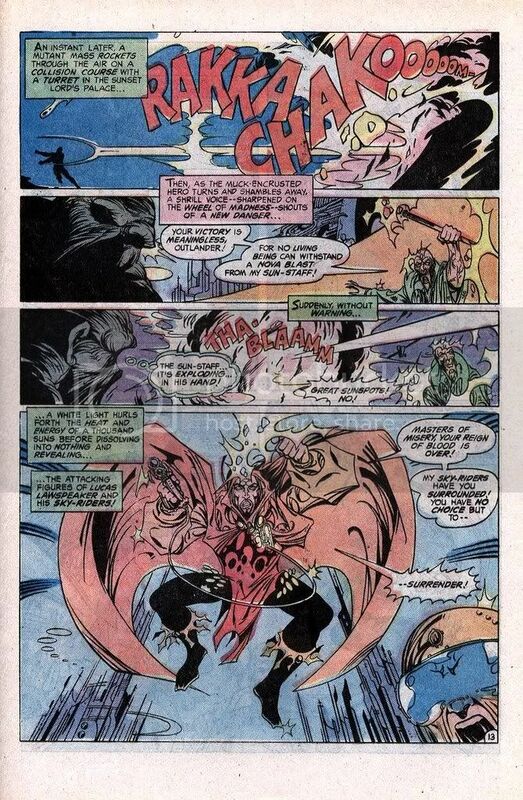 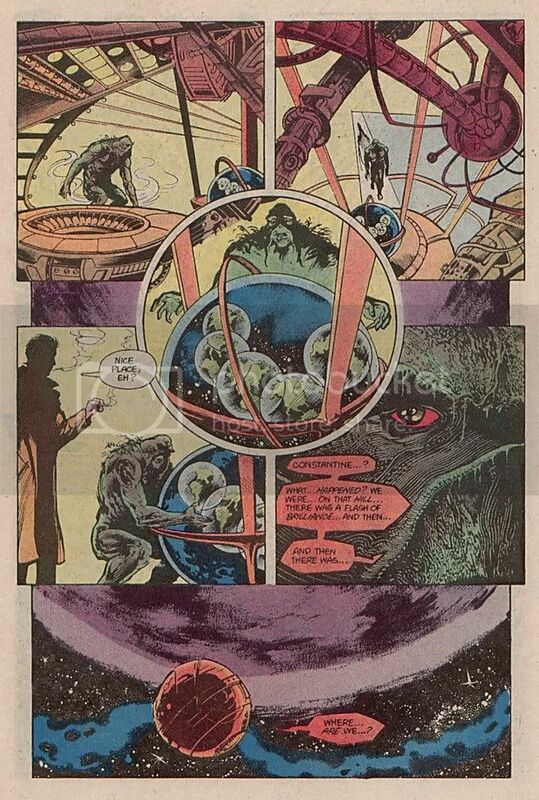 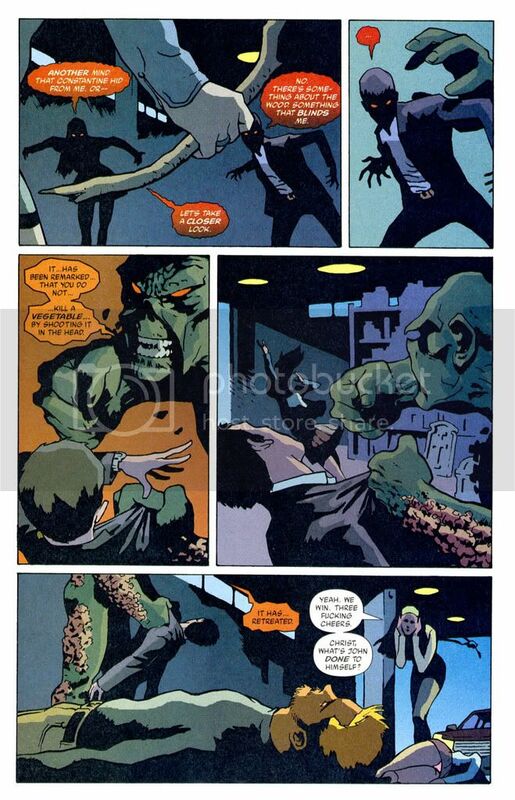 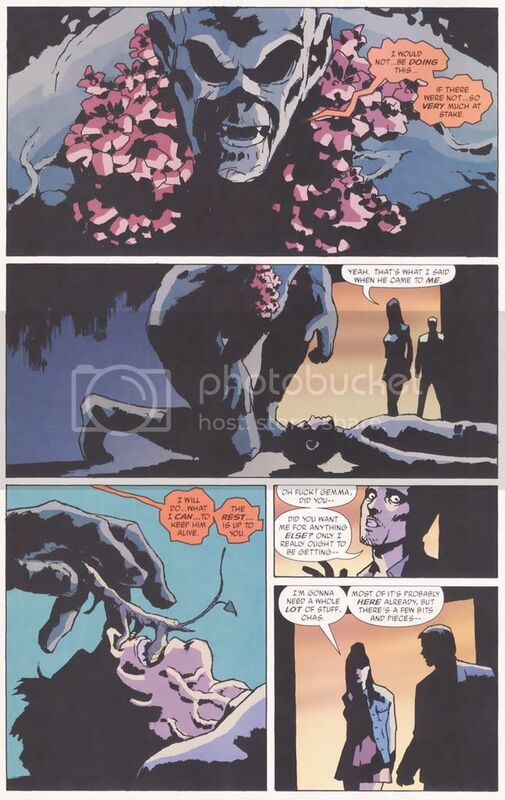 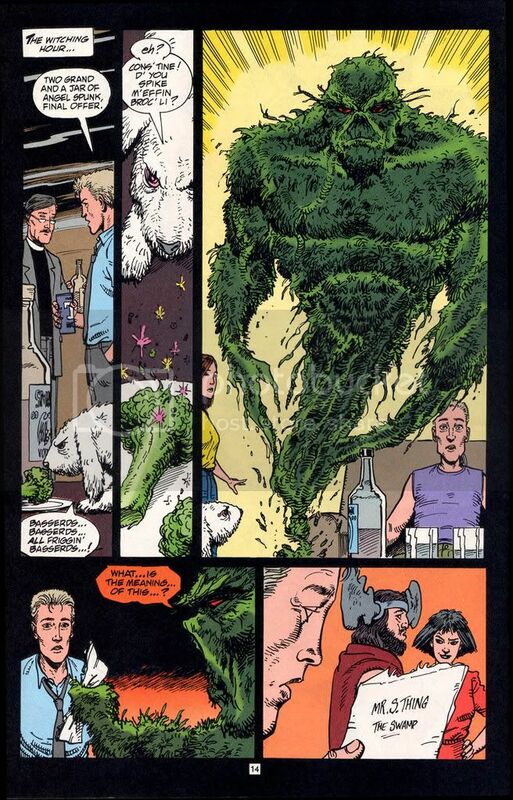 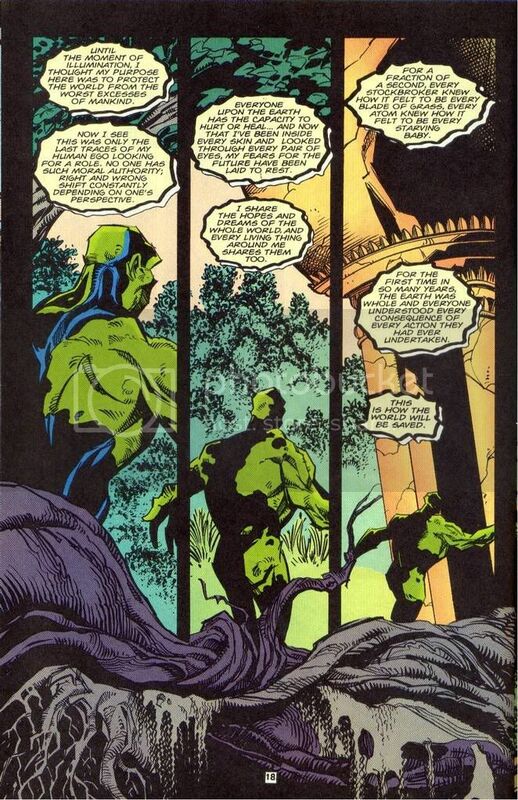 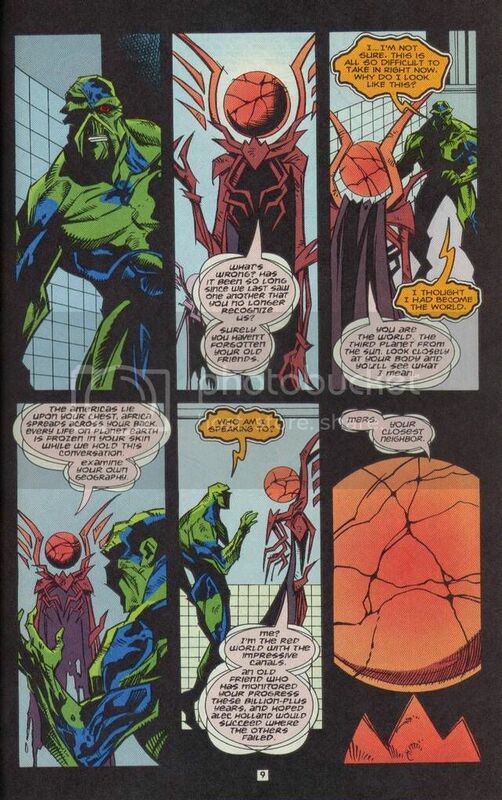 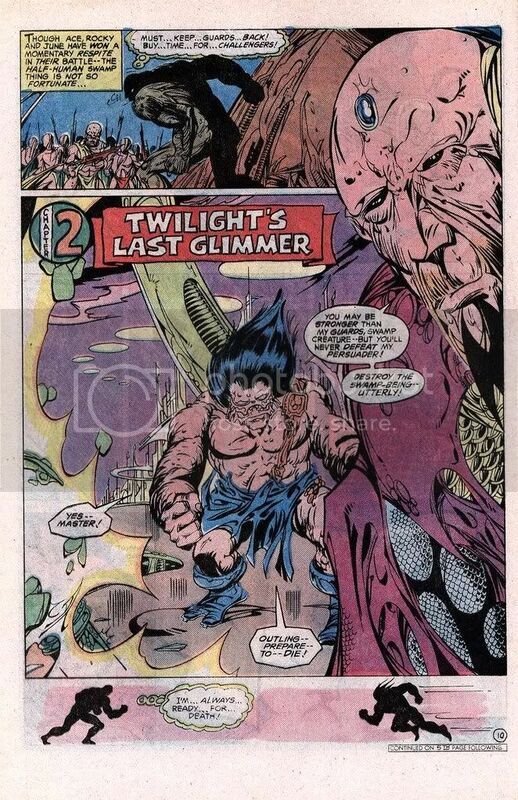 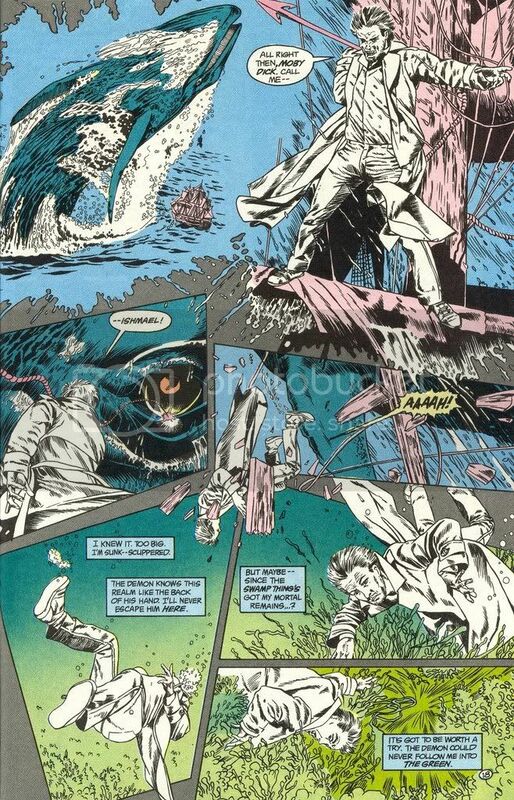 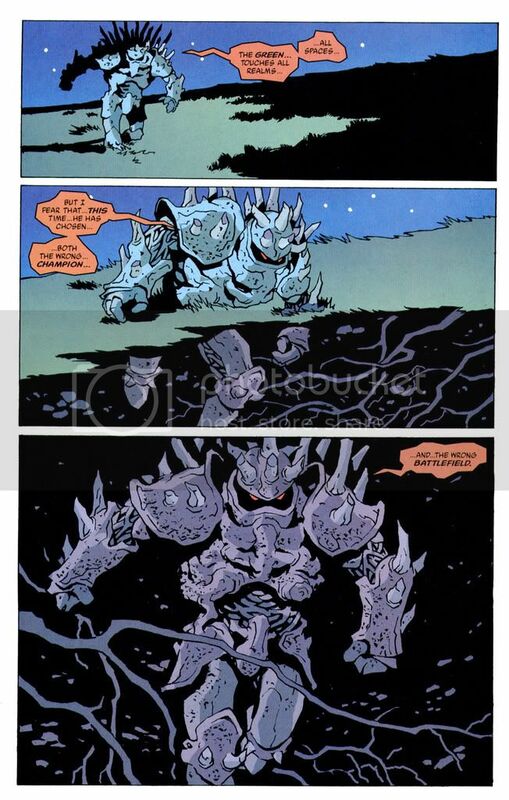 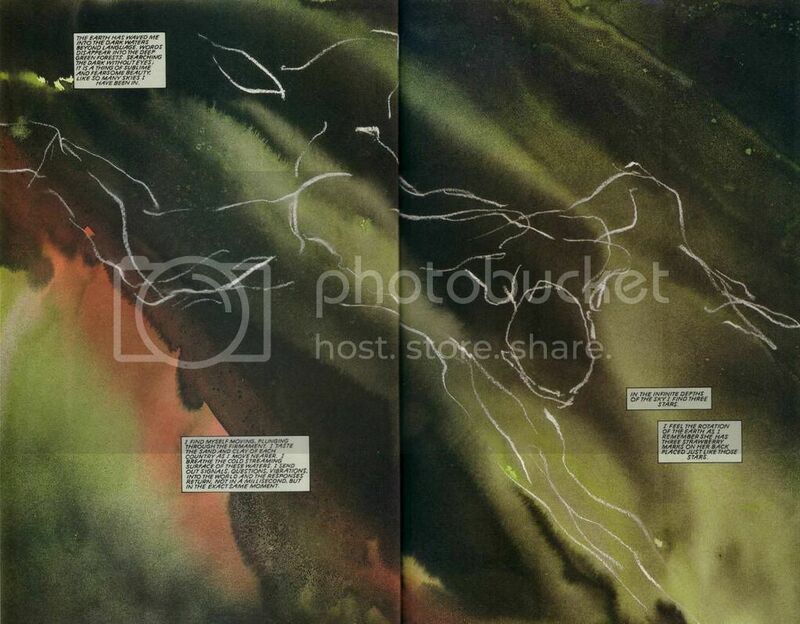 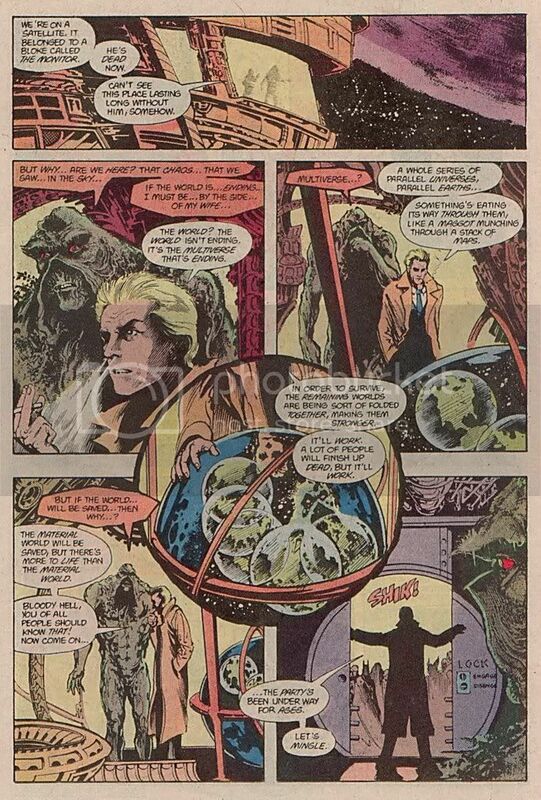 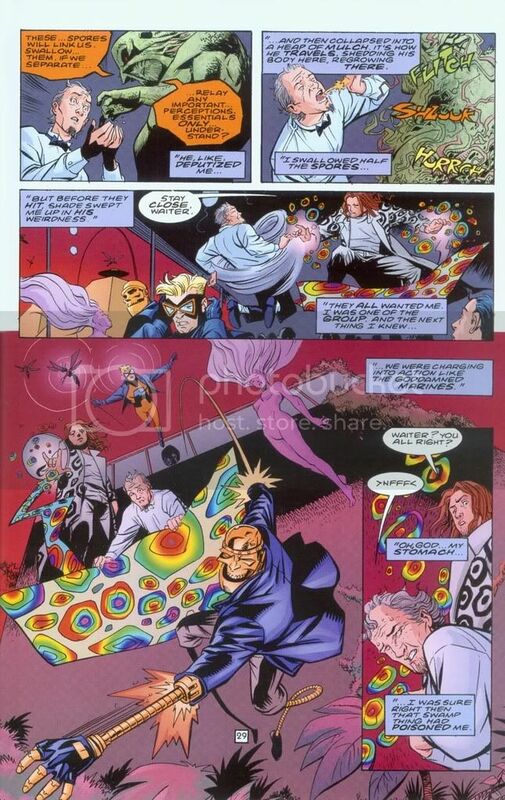 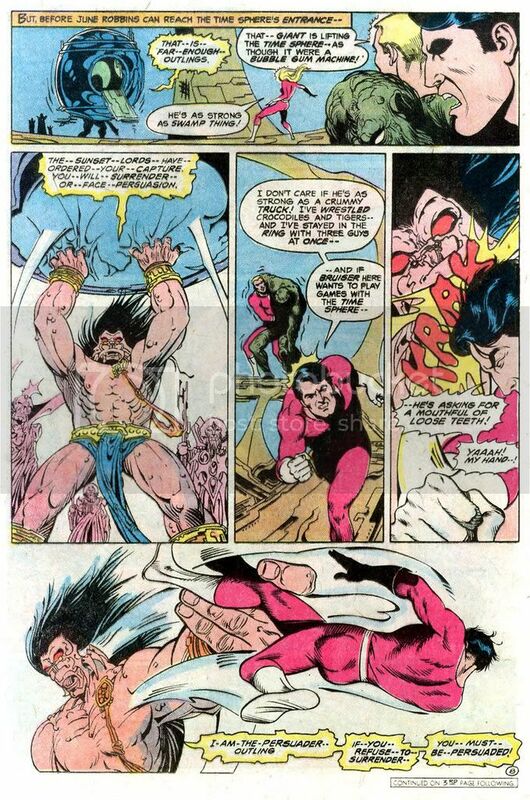 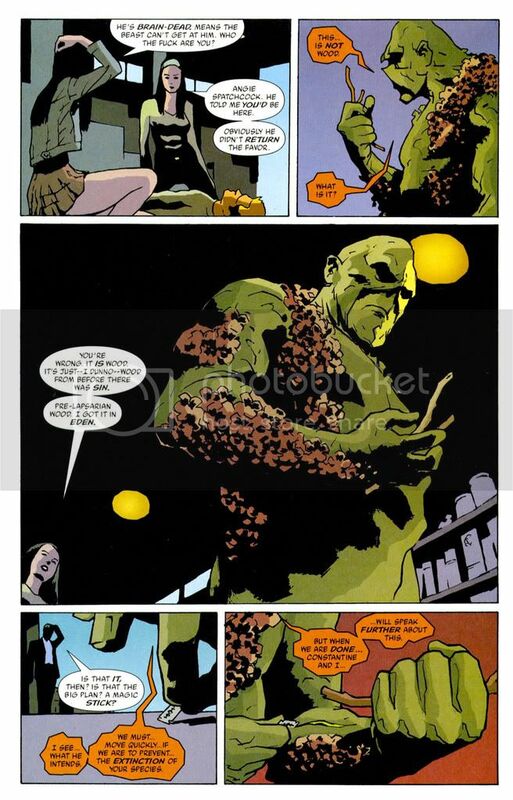 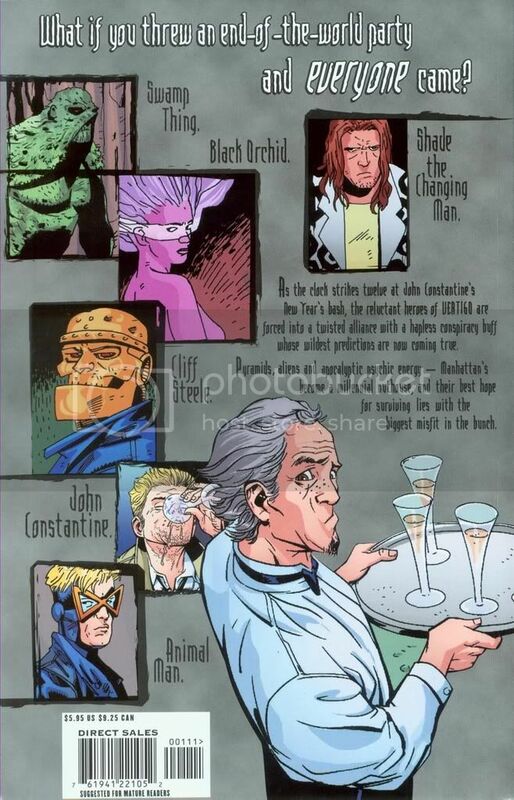 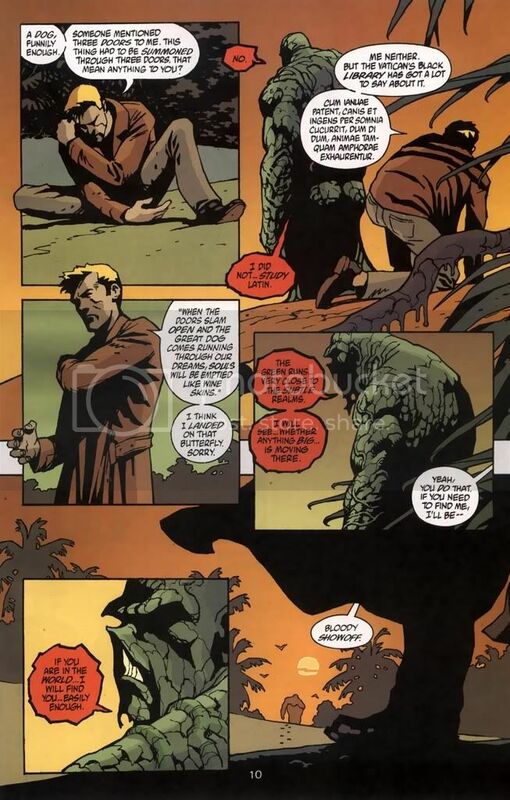 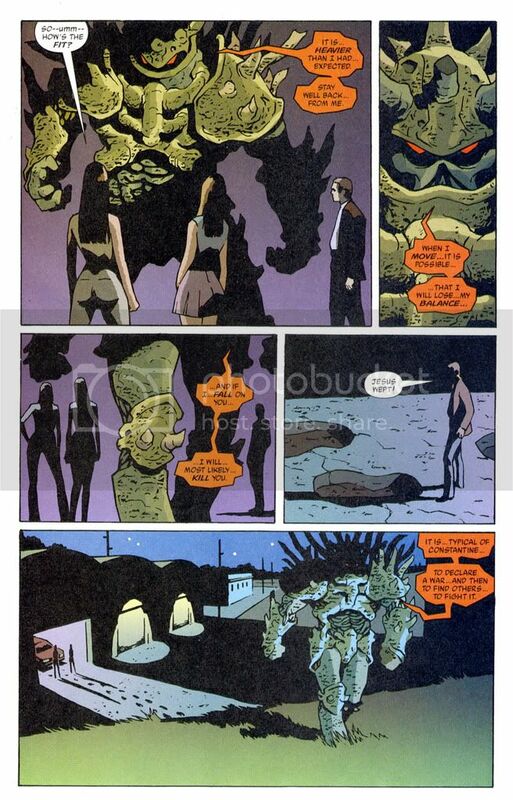 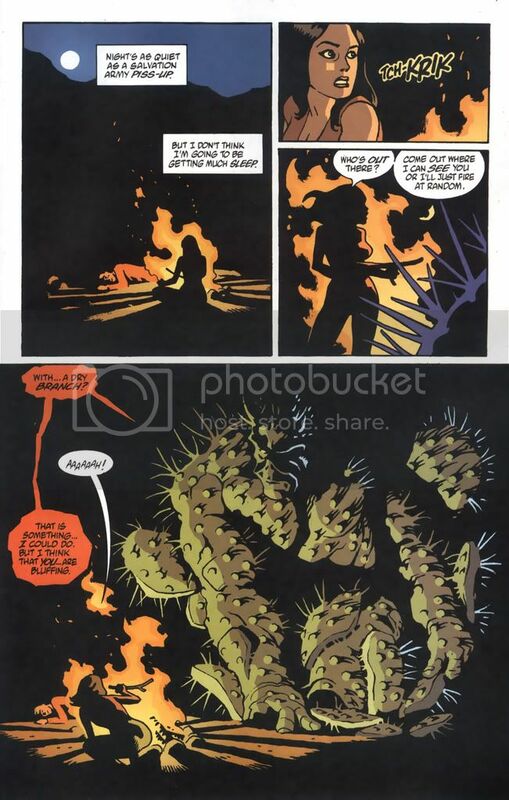 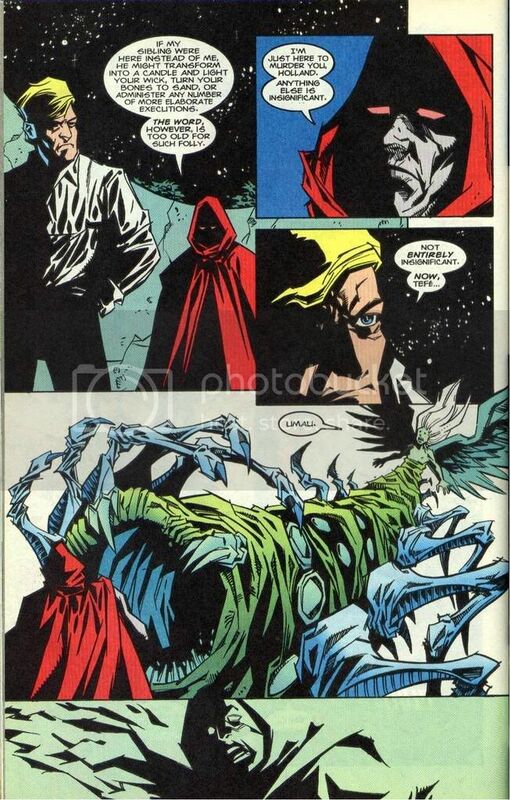 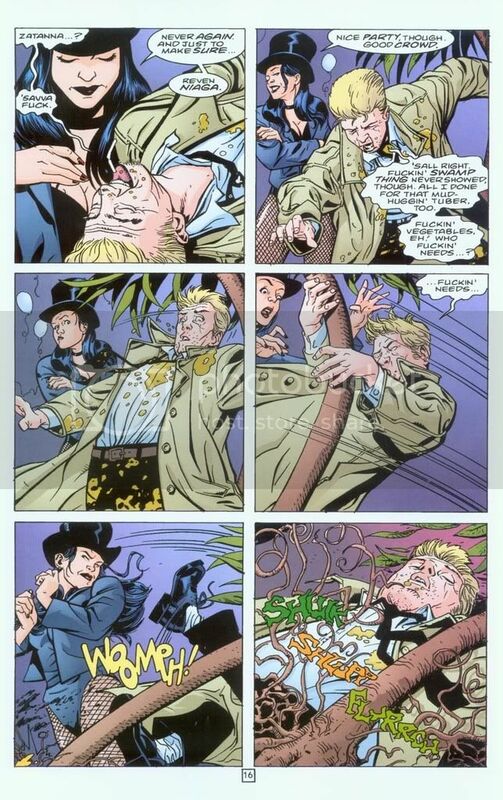 [note Swamp Thing's use of a TP-esque ability in the 4th scan]. 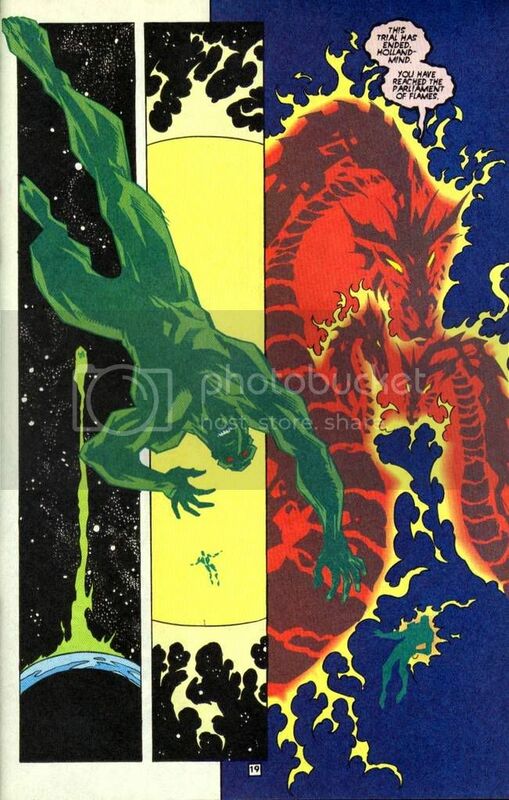 "Earth, Air, Fire, and Water"